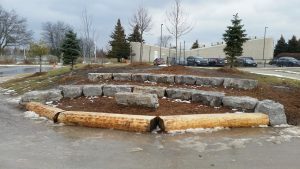 In 2018, the York Catholic District School Board saw yet another successful year of creating green spaces through its School Ground Greening Program. The program is made possible thanks to valuable partnerships with Evergreen and The Regional Municipality of York. A record number of Catholic schools participated in the program this past year, demonstrating the growing desire to create green spaces where students can both learn and play. This year, projects included free landscape architect consultations, the creation of scaled drawings, assistance with the installation process and follow-up inspections. 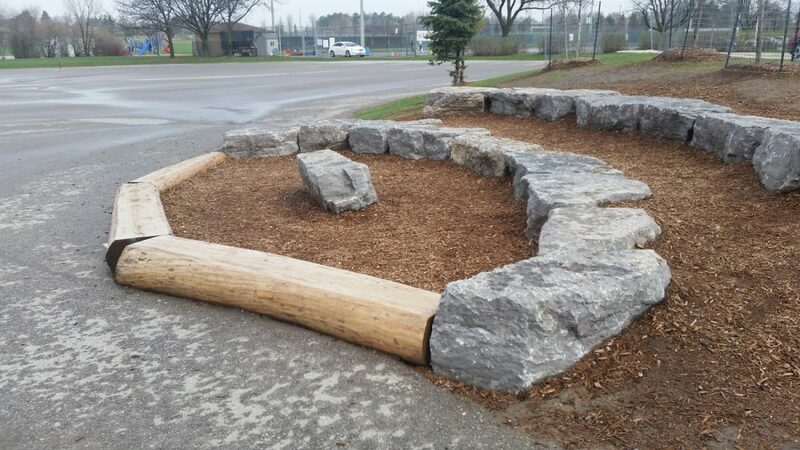 Over 20 schools used the School Ground Greening Program for projects such as outdoor classrooms, tree and shrub plantings and seating projects. As a result of the partnership, schools now have access to an extensive Board document, Guidelines for School Ground Greening, to assist them in planning their green initiatives. An important focus for 2018 continued to be the improvement of the YCDSB’s tree canopy and student access to shade on school grounds. Four schools were successful in obtaining a total of nearly $42,000 from TD Friends of the Environment Foundation for their outdoor projects. 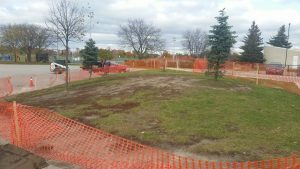 Another three schools obtained a total of $15,000 from the 407 ETR for tree plantings on their school grounds. 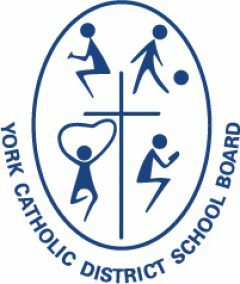 The Regional Municipality of York also provided $15,000 dedicated to the supply and installation of additional trees for YCDSB schools throughout the Region. York Catholic is proud to be a part of such an important partnership that is centered on creating spaces that help build and educate communities on the importance of creating sustainable places to learn for its students. St. John Paul II once said that, “Our very contact with nature has a deep restorative power; contemplation of its magnificence imparts peace and serenity. The Bible speaks again and again of the goodness and beauty of creation, which is called to glorify God.” As students continue to grow and learn in YCDSB schools, School Ground Greening Programs are a perfect opportunity for them to experience and appreciate the magnificence of creation.